New Delhi: Tata Power, India’s largest integrated power company, has been pioneering eco-restoration and eco-development programmes since its inception. One such programme that Tata Power undertook in 1970 was conserving and rehabilitating the endangered fish species called Mahseer. The programme that started off as a singular effort by one company to save this endangered species of fish has grown into a national movement through Tata Power’s ‘Act for Mahseer’ campaign. Taking the campaign further, the students and faculty members of Lovely Professional University have volunteered to join the Act for Mahseer programme with over 1500 fish knights registering to take a pledge to save the Mahseer. This has increased the total number of fish knights to over 4300 individuals, nationally. ‘Act for Mahseer’ is a call to action public campaign aimed at spreading awareness about the mighty Mahseer to help preserve this valuable fish species in a big way at a national level. The programme was launched with a three-pronged approach to educate, engage and empower Mahseer lovers. As part of the programme all the registered fish knights will pledge to spread awareness about the campaign and its importance, take active part in Mahseer rehabilitation, and protect the Mahseer by preventing water pollution and protecting natural water bodies. 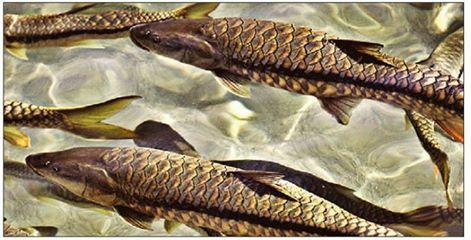 Tata Power has undertaken numerous efforts to conserve the Mahseer species, which is still classified as an endangered species and undergoing slow extinction by the International Union for Conservation of Nature and Natural Resources (IUCN). Through its association with Lovely Professional University, Tata Power has sought to engage with students pursuing professional courses to help in its conservation efforts. The number of students taking the pledge to save the Mahseer is growing daily.